The museum focusing on natural history, international stature, and cultural history was initiated in late 19th century. 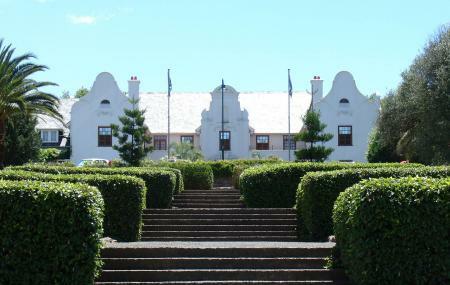 The museum is set in the neo-Dutch style house that served as a house for the governor general of Union of South Africa. It now houses a permanent exhibition of South African art including an outdoor sculpture working African Carousel. Local artists also exhibit their works on periodic temporary exhibitions. Blind alphabet is the art work of sight impaired and is a popular highlight. The auditorium can be booked for private shows. Group tours are school tour are conducted. How popular is Oliewenhuis Art Museum? People normally club together Sa Armour Museum and The National Museum while planning their visit to Oliewenhuis Art Museum. We are artists ourselves and loved our visit to Oliewenhuis Art Museum so much. Being able to experience the works of South Africa's best artists up close and personal was very special. If you love art this is the one venue in Bloemfontein that you just cannot miss!! Best contemporary art museum in Bloemfontein. You can take a mini hike through their hiking trails and have a quick siesta on the lawn. The facility is safe as there are security guards throughout the Museum and is comforting to know that I can take a nap without anything happening to me. I love it. A beautiful gallery with a lovely garden. The trials through the natural foliage are one of my favourite hidden gems of Bloemfontein. The trials and gardens are dog friendly. The exhibitions are well thought out and presented beautifully. I would like to see the museum reopen its restaurant for public use outside of big events as this is a lovely place to sit and read or drink coffee with friends.